Use the boost theme. Create and assignment that allows file submissions. 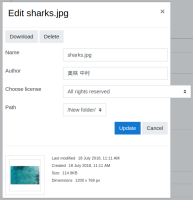 As a student upload a file to the file picker for the assignment. Before submitting the file, click on it again in the file picker. 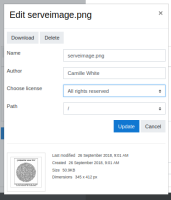 In the file dialogue verify that the select field for "Choose license" is contained within the modal window. See the screenshot. It's not correct.